Over the last few years, GoSun has made a string of eco-friendly, solar-powered stoves that allow you to cook like the world's foremost post-apocalyptic chef. Cooking with the sun's rays ought to be even easier with GoSun's new, extra portable version stove. 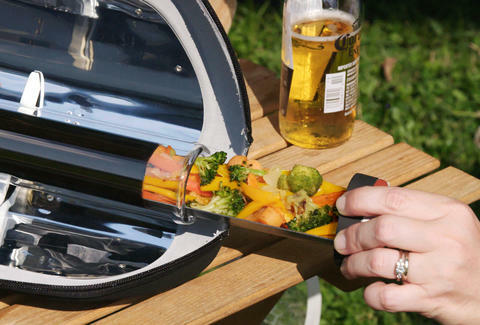 The GoSun Go can hit temperatures of up to 500 degrees and can go anywhere you'd take a grill (and probably places you wouldn't take a grill), only it can steam, bake, or roast anything you can fit into its cooking tube. It also boils water, which makes it handy for camping or for getting some potable water during the zombie apocalypse. The company adds that it never gets hot to the touch and is capable of cooking on partly cloudy days and in the cold. 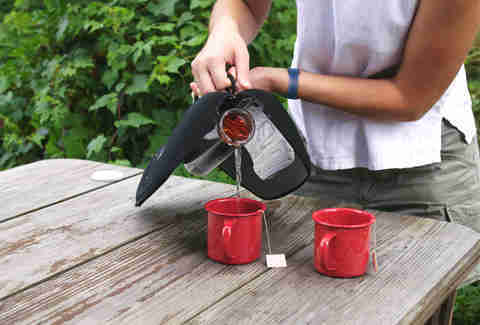 GoSun is crowdfunding the launch of the portable stove. Just a few days in, the project surpassed its goal of $10,000 by a lightyear. It has raised more than $169,000. This is GoSun's third Kickstarter project. Previously funded stoves have received positive reviews. However, there are certainly drawbacks to using a solar-powered stove. It's not a grill replacement. You'd have a tough time cooking a burger in the cylindrical tube. It can also take a while to make your meal, with some saying it takes about 45 to 120 minutes to cook certain foods. However, if you plan for it, that's not such a big deal, especially in camping situations where loading it and leaving it is a lot easier than building a fire and sticking around the campsite. Previous models -- which include a grill and tiny baking pans -- haven't been all that cheap, but the GoSun Go is pretty affordable. Right now, through the Kickstarter campaign, you can pick up the two-pound stove for $99. It's the perfect gift for yourself to use now and for later, you know, just in case the world turns into a Cormac McCarthy novel. You can stick your acorn mash in the tube to make cooked acorn mash. Yum!